Think the traffic jams in Singapore are bad? A recent snarl that took place near China's capital city on Tuesday (Oct 6) might just convince you otherwise. 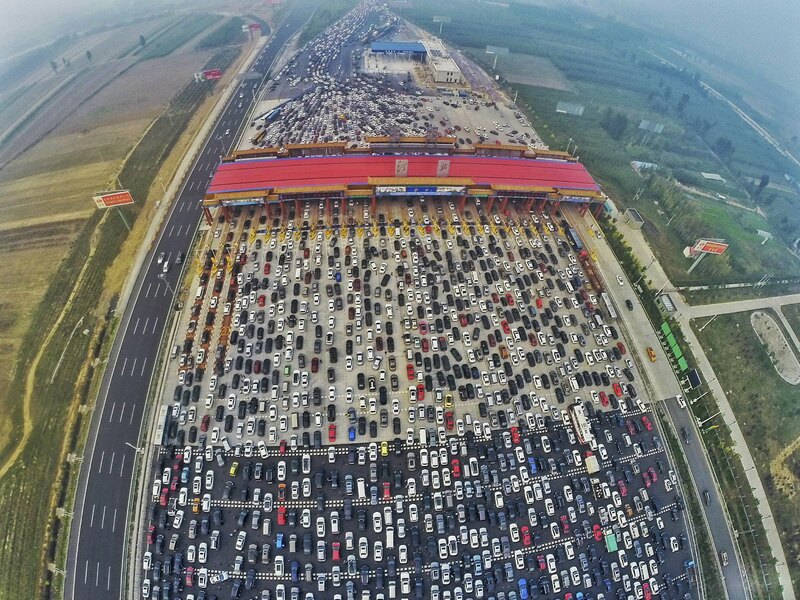 Aerial footage showed the incredible congestion that blockaded the G4 Beijing-Hong Kong-Macau Expressway, which has 50 lanes, as thousands of motorists flocked home to Beijing at the end of the week-long National Day holiday, known also as "Golden Week". The expressway is more than 2,200km-long and connects the country's capital with Shenzhen, a major city in the Guangdong province. The jam reportedly started at 2pm on the outskirts of Beijing and was caused by the introduction of a new checkpoint that created a bottleneck. According to news agency Xinhua, an estimated 750 million, or half of China's population, travelled within the country during the Oct 1-7 period. In August 2010, what many considered to be the longest traffic jam in history also occurred in China, on the G6 Beijing-Tibet Expressway. Roadworks carried out on the highway resulted in scores of vehicles being trapped along a 100km-stretch, in a slow crawl that lasted 12 days. Some drivers claimed to have been stuck in traffic for up to five days.